The 3BNC117 antibody was isolated in the Nussenzweig lab several years ago by Johannes Scheid, co-first author of this most recent publication. 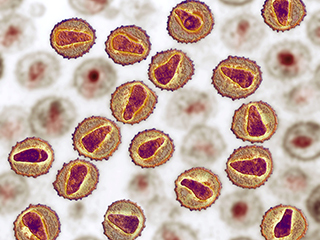 It was cloned from cells of an HIV-infected patient whose immune system was able to fight HIV particularly well. The virus primarily infects CD4 T cells, part of the immune system that helps protect the body from infection. 3BNC117 stops multiple strains of HIV from hijacking these cells.